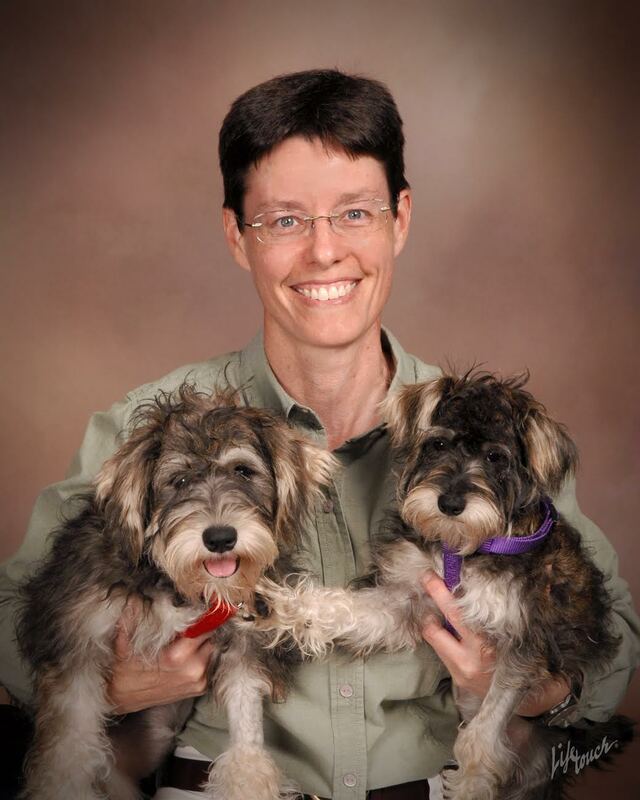 Originally from Minnesota where she completed her undergraduate schooling, Dr. Conrad moved to Missouri and worked in medical research for 5 years before attending veterinary school. 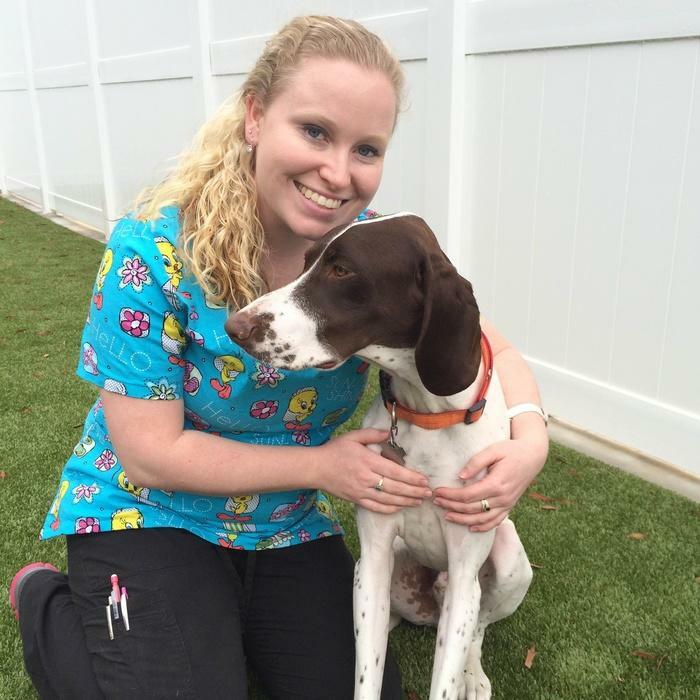 Upon earning her veterinary degree in 2002, she left the snow behind and moved to Florida to begin her career. 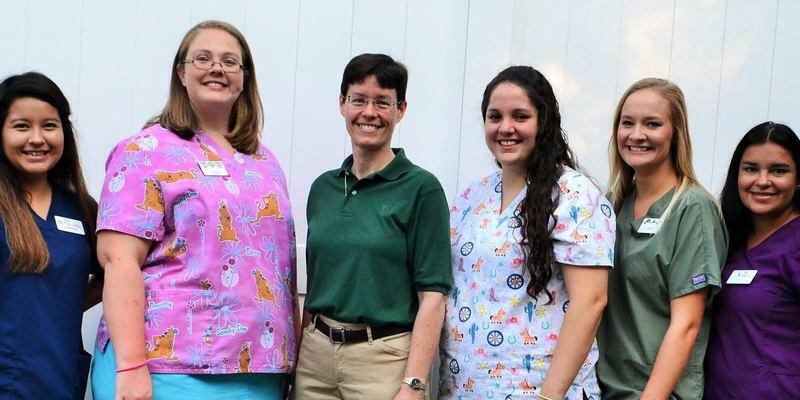 After gaining a couple years' experience, she became the owner of the Okaloosa Animal Clinic. Her children are 2 Miniature Schnauzers, Heidi and Greta. These little girls ensure Dr. Conrad gets her exercise on a daily walk, then sit in her lap while she enjoys reading. 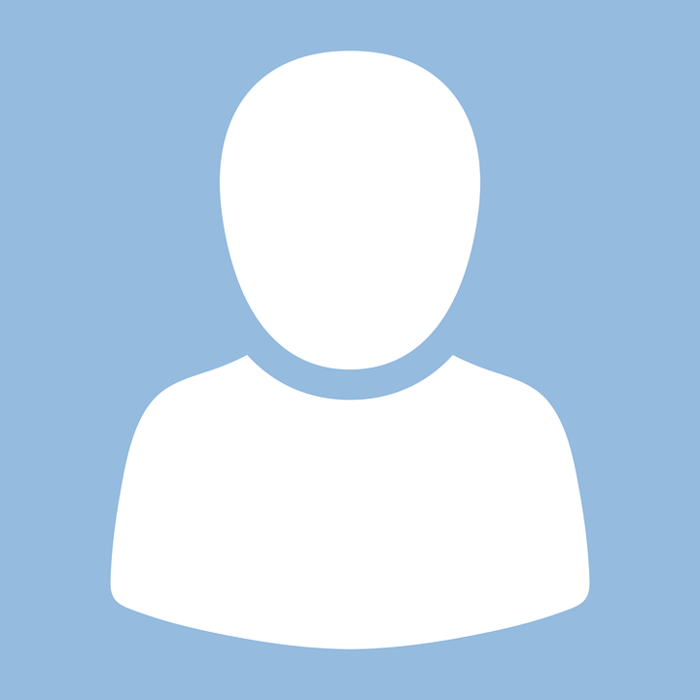 Dr. Conrad likes to study history, languages and cultures, enjoys conversations with clients who have lived around the world during their military careers, and looks forward to traveling in the coming years. Holly attended Northwest Florida State College. 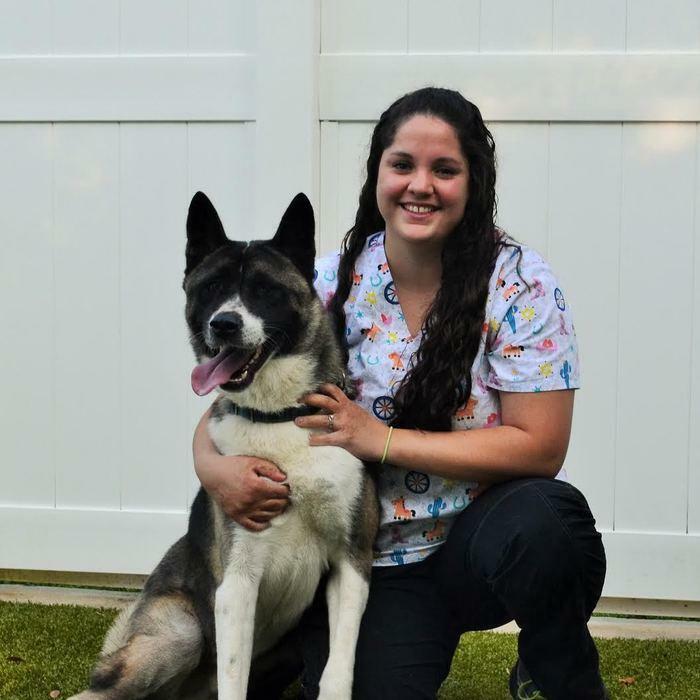 From a young age she was interested in working with animals and has had a number of interesting experiences in the field, including assisting with a blood transfusion. The amount of knowledge Holly has gained while working at the practice is one of her favorite aspects of her position. Her own pet is a German Shorthaired Pointer named Chief. When she isn’t working she enjoys riding her four-wheeler and baking. 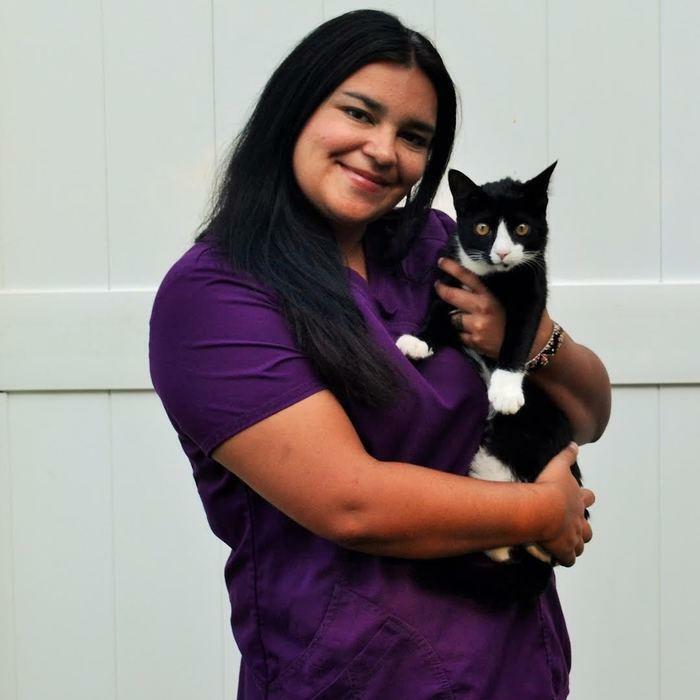 Nelcy loves helping improve the quality of life of animals and is studying to earn her degree to be a Certified Veterinary Technician. Originally from Colombia, she moved to the US while in middle school and most recently lived in Alaska. Her family includes three kids, two dogs, and a cat. Lucy loves working with animals and horseback riding; she competed in show jumping while growing up in Texas. As a receptionist, she likes the feeling she gets when clients are happy with the service she provides. Not only does Lucy have three dogs -she also has four ball pythons.